At the first big technology conference I attended, the Consumer Electronics Show in Las Vegas a decade ago, I squeezed past hundreds of attendees on the show floor and was surprised to find myself alone in the ladies’ bathroom. Down the hall, the line for the men’s bathroom snaked out the door. Throughout my career at The Wall Street Journal, I’ve used my casual ladies’ bathroom observations as my own barometer to measure the number of women at events and, more broadly, in the tech community. The more women I see in the field, the less likely it is that just a team of guys are making and marketing tech products. Eleven years later, I’m happy to report I now regularly wait in line for the ladies’ rooms at conferences and product announcement events. A lot has happened since that first conference and I’ve had a front-row seat on this ever-changing industry. I’ve never written exclusively for or about women; rather, I hope my columns are read by anyone interested in learning more about a product. But privately I’ve noted the industry’s shift away from masculine marketing and product designs. In my final column this week, I’m taking a moment to look back at a few examples of how products geared toward women shaped this industry, counting failures and successes. 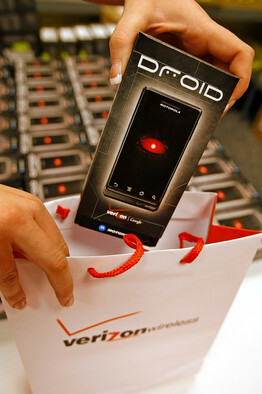 Ads for Verizon’s Droid seemed to target the phone at robot-crazed males. A great example of a now-defunct company that tried entirely too hard to appeal to women with its product was the 2009 Palm Pre. The pebble-shaped smartphone had a slide-out keyboard and the company was proud to note that women would like the mirror that was revealed on the back of the pulled-down keyboard. On top of that, its commercial felt like a cross between a coordinated dance routine and a soap opera, complete with a woman standing on a rock in a windblown dress while she organized her digital life on a Palm Pre. A woman’s breathy voice-over said she was working on sorting “my family’s lives, friends’ lives, work life, play life, my life today and my life next week.” At the end of the commercial, the woman sat on the rock in the middle of a field with her dress tucked under her. All women do this, right? One of the most well-known failed attempts to design for women came in the shade of pink. After years of designing dull black and silver products, tech companies seemed to think they found the solution for appealing to all women by slapping a rosy hue on a device and calling it a female favorite. As laptops, cameras, cellphones, headphones, Bluetooth headsets, portable speaker docks, mice, keyboards and other products flooded the market, women continued to look for the best products with the best user interfaces — not just the pink ones. Another more recent failure: Verizon’s Droid. The company’s commercials seemed to gear this smartphone exclusively to robot-crazed males. The phone even had a default alert set up for notifications: A deep, mechanical voice would sound out, “Droid!” whenever new emails arrived. Not only did it alienate women, but I know a few men who found this annoying and odd. 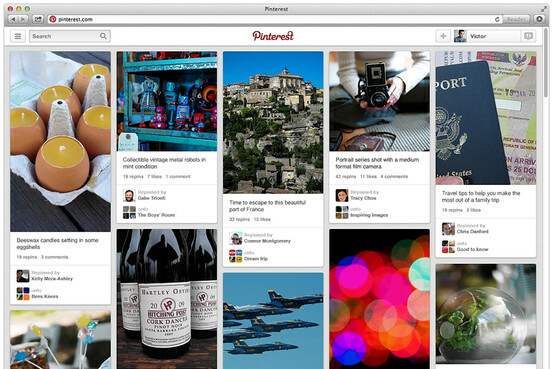 Pinterest credits a core group of female bloggers as having a big impact on the site. It’s still true women use social networking more than men, according to Pew Research’s Internet studies. Pinterest is particularly appealing to women, with considerably more females than males using it on computers, mobile Web browsers and especially in the Pinterest app. Some of the site’s early outreach was done with a group of female bloggers and the company’s CEO, Ben Silbermann, credits that core group with having had the biggest impact on the site. 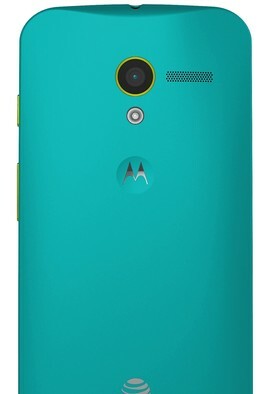 Motorola’s Moto Maker offers customizable colors for phones like this one. Today, color has smarts. Tech products available in multiple shades are commonplace, encompassing a variety to appeal to all sorts of people. Companies understand that as long as the product is well made, variety and choice in designs and colors can be a good thing. Recent examples include Motorola’s Moto Maker website for designing your own smartphone and Jawbone’s website where people can design their own Jambox portable speakers. Apple’s version of a budget iPhone, the $99 iPhone 5c, comes in green, blue, yellow, pink and white. Lenovo laptops come in orange and red. As this momentous year draws to a close, so does my time at The Wall Street Journal. I’ll continue writing reviews of consumer technology products at a new website. And I know I’ll continue to see smart women influencing smart tech products. There have been great strides in the past 11 years, but there’s still room to grow — even at the restroom line. Write to Katherine Boehret at katie.boehret@wsj.com.